When the Texas Rangers traded a recently drafted starting pitcher prospect to the Houston Astros for veteran catcher Carlos Corporan to serve as the backup catcher for Robinson Chirinos this week, it signaled the end of the thought that the Rangers could possibly bring back Geovany Soto in the same capacity after trading him to Oakland last August. Now, Soto is moving on, though he's doing so on a minor-league deal he's signed with the Chicago White Sox, returning to the Windy City, where he began his career with the Cubs and was voted the 2008 NL Rookie of the Year. 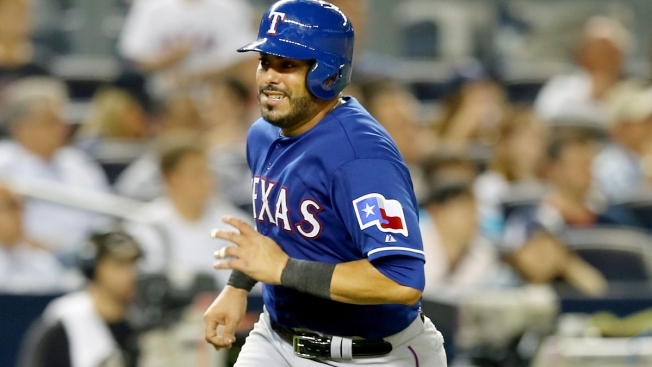 Soto had a solid year in 2013 but appeared in just 24 games in 2014 between the Rangers and A's after missing most of the year with a knee injury suffered in spring training. He also was arrested in Grapevine for marijuana possession during his rehab process in Frisco. Soto is still relatively young, but it appears his best days are behind him as his career has been on a constant decline since that stellar rookie season.